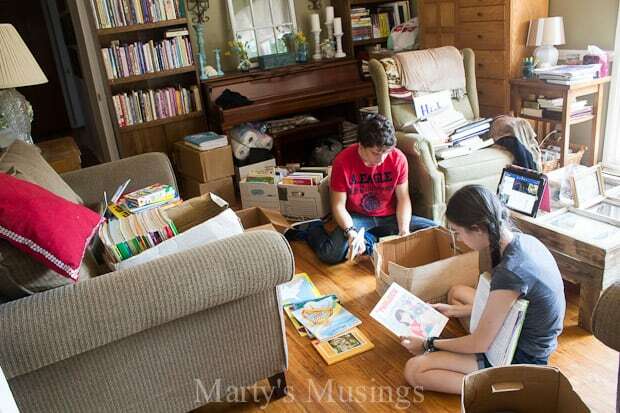 Over the years as a homeschooling family we’ve collected a lot of stuff. Twenty years of homeschooling STUFF. 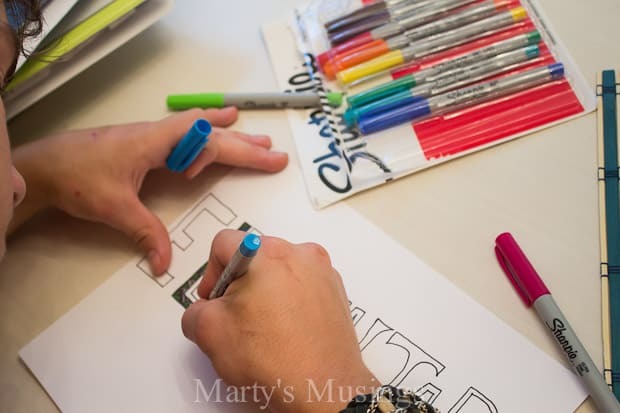 Everything from school papers to projects to textbooks, reading books, manipulatives and games. We’ve had a lot of great resources to teach our kids about our world, our beliefs, our commitments and life. I’ve used many different organization methods. 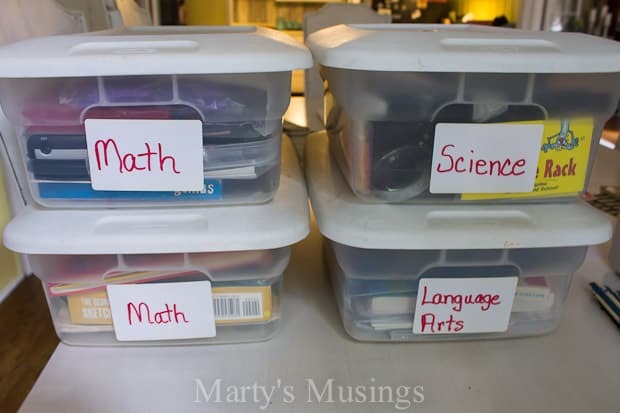 The one that worked the best when I taught the most kids at one time was plastic tubs with each of the kids name on each one. All their textbooks and assignments fit into one tub that they were each responsible for. Then I had tubs for each subjects with manipulatives and toys (in the younger years) relating to that subject. At one time I even had labels on our bookshelves for the subjects of all the reading books we had. Yep, I’m an overachiever. Now that my oldest two have graduated and married I only have two 10th graders at home. I knew I needed help in dealing with all the STUFF we’ve accumulated! 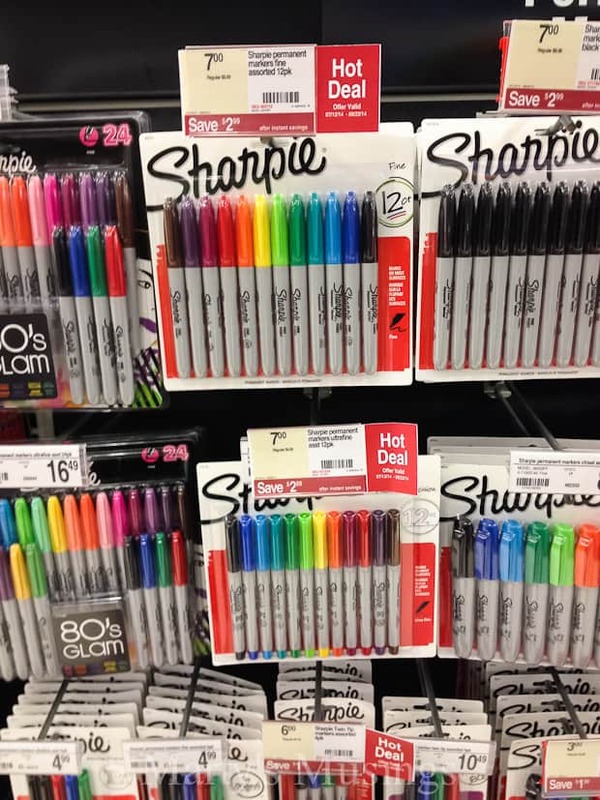 The kids and I went shopping at Staples for Sharpie Markers, a must have for organizing home and work. Since we do most everything together I asked them to help me weed through the homeschool books we no longer needed. Talk about a trip down memory lane! And because they’re such champs my daughter was kind enough to “model” the markers for me! 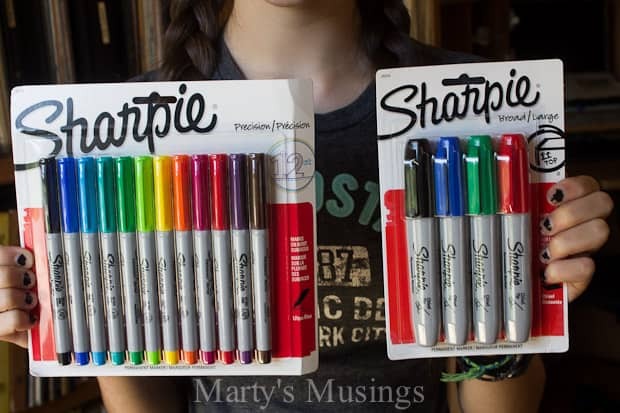 My son is a budding artist who buys Sharpies all the time just for doodling. He loved the fact that I gave him an opportunity to let his talents shine. After trying to sell all my curriculum I’m finally offering it to local homeschoolers for free! These are just a few of the boxes I have. 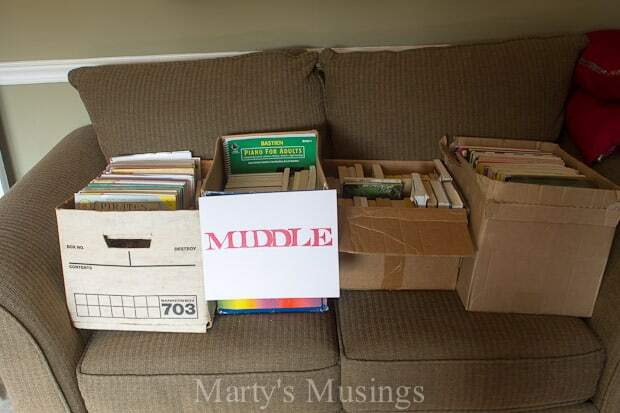 My kids separated out the books according to grades and then made signs for the collections. 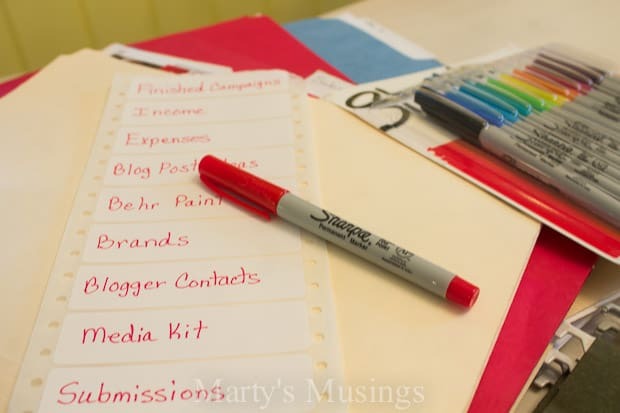 As I transition from full time homeschooling mom to mom/full time blogger, I now have a small business to try and keep organized as well. 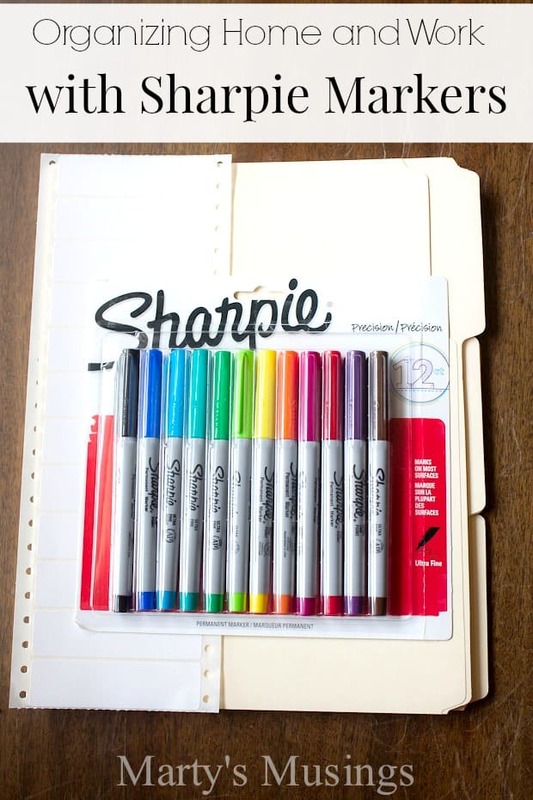 All I needed were some file folders, labels (these were old computer labels from a yard sale) and Sharpie Markers. 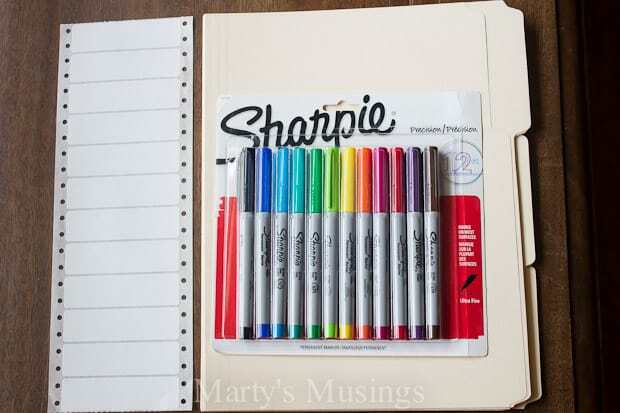 I loved the ultra fine point markers. Seriously loved them. 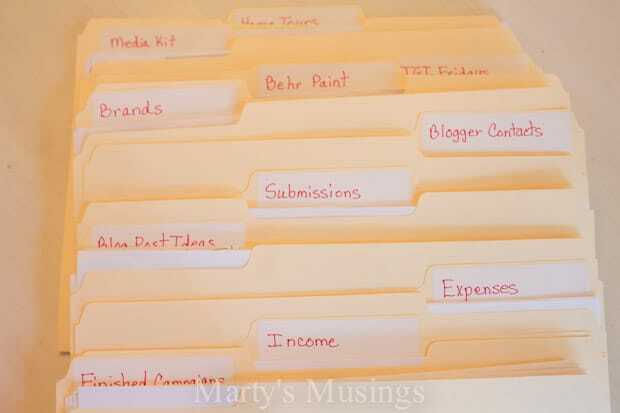 They were perfect for labeling my files for my blogging business. You can see how great my files look. I’m so glad to get some of the mess off of my desk and in a drawer! I haven’t figure out this whole mom/work juggling act, but I do feel better now that I’ve cleared out some clutter and blessed some other homeschoolers at the same time! What do you most need to organize in your home?